Arne is responsible for day to day software design & development, quality assurance, research & development, community liason and general calm. Matt is responsible for day to day liaison with customers, strategy & project development, system design & development, project coordination and quality assurance. 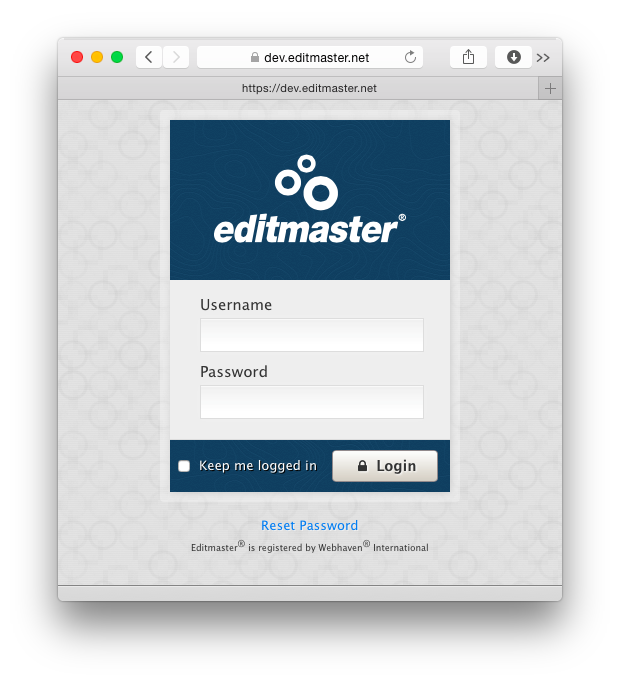 Introducing Editmaster Business, an online data management software created by the team at Webhaven International ApS. Editmaster Business is the framework we use to build the modules that power websites, website plugins and complete web applications. It is based on an object oriented database abstraction which provides for flexible, fast and robust data handling. When you are faced with unique requirements for your online business, development of a custom solution makes sense. Our software frameworks facilitate fast development and easy integration with existing software solutions or online applications. It allows us to provide specialised software solutions for your online business. 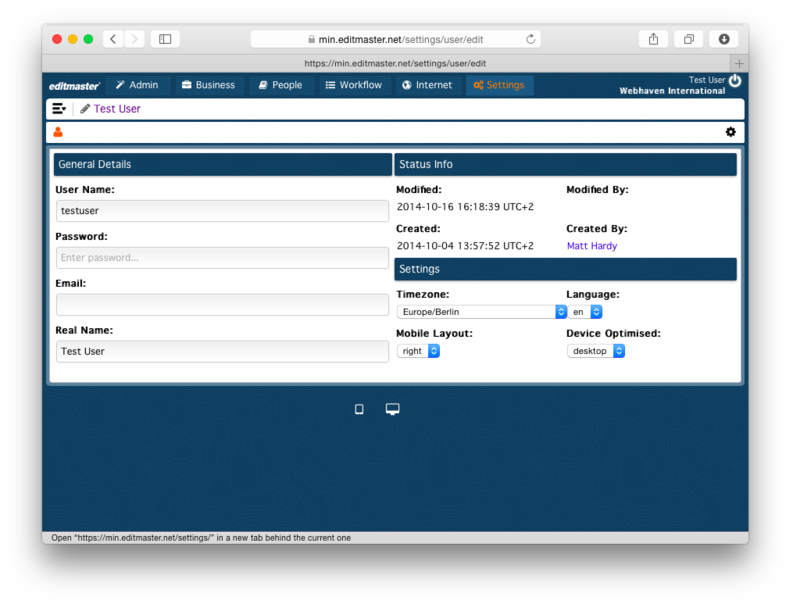 Public facing Editmaster Business applications are deployed on our content delivery network. 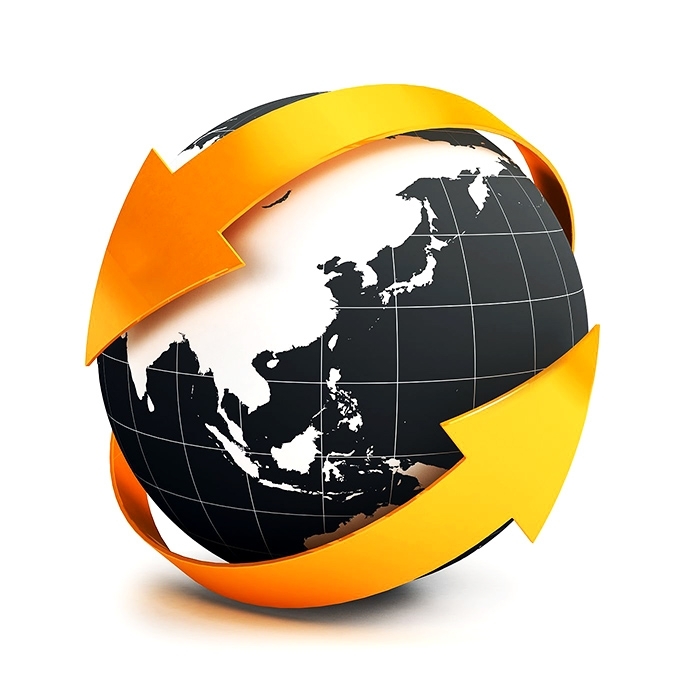 Our servers are located in 3 continents, including New Zealand. Scaleable applications benefit from our Geo-IP system which serves public data to visitors from the closest location. This system is essential for companies that require reliable and high performance online communications for multiple markets around the world. It is also possible to self-host our software when core in-house requirements demand localised hardware. In any case, Webhaven® has support contracts to suit most needs. Our 25 years of combined experience in software development and system administration extends over many sectors. We've worked with government, education, small business, online product systems, manufacturing, entertainment as well as financial and investment sectors.